The shocking ending of Glass was a long, long time coming. Writer-director M. Night Shyamalan recently revealed to Entertainment Weekly that the "operatic" conclusion to the trilogy he started with Unbreakable in 2000 and reinvigorated with Split in 2017 was nearly 20 years in the making, as he has had the ending — or one like it — in mind all along. For those who need a little memory-jog, the final moments of Glass featured Samuel L. Jackson's brittle-boned super-villain Elijah Price (also known as Mr. Glass) dying at the hands of James McAvoy's Kevin Wendell Crumb. Kevin, a man suffering from dissociative identity disorder who first appeared in Split, discovered that Elijah orchestrated the Eastrail 777 train that killed his father (the same one that Elijah carried out to locate David) and "created" his animalistic personality known as the Beast. That revelation pushed him to murder. But Kevin (and his 24 different personalties) didn't come out of Glass alive either. Shyamalan took an eye for an eye for another eye in Glass, having both Kevin and Bruce Willis' David Dunn get murdered by an anti-superhero coalition — whose ranks include none other than Sarah Paulson's Dr. Ellie Staple, the psychiatrist who specializes in delusions of grandeur and who oversaw the care of Kevin, David, and Elijah at the mental institution in Glass. Dr. Staple and the other members of the secret group didn't want the general public to know that super-humans exist, which is what motivated them to execute Kevin and David. The final twist came when Elijah's mother (Charlayne Woodard), David's son Joseph (Spencer Treat Clark), and Casey Cooke (Anya Taylor-Joy) release to the masses surveillance footage from the hospital that shows Kevin and David exhibiting their powers, thus proving that heroes and villains do exist and ruining the secret organization's plans in the process. Asked if he always intended to end Glass in such a surprising, dramatic fashion, Shyalaman responded, "I did. I always thought it was a little bit of like an opera, even when I was starting on Unbreakable. I thought this was a very operatic end to it all [with] people screaming and all of these kinds of implications. It was about implications more than anything. I'm a big fan of One Flew Over the Cuckoo's Nest as you can probably tell. The format of that movie just blew me away when I saw it. The idea that the journey of the main character gets fulfilled by another character is a very powerful idea." He added that with the way Glass ends, there exists the possibility for additional stories in the world of Unbreakable to be told. However, Shyamalan doesn't think he will return to the fictional universe post-Glass, as he wants to focus on other original content. "I have a lot of original stories I want to tell," he said. "I'm an original filmmaker and I want to keep on telling new stories and new characters. It's fun for me to figure out a new language, and then learn it, and try to get an audience in two hours to learn, and accept it, and really find their way." 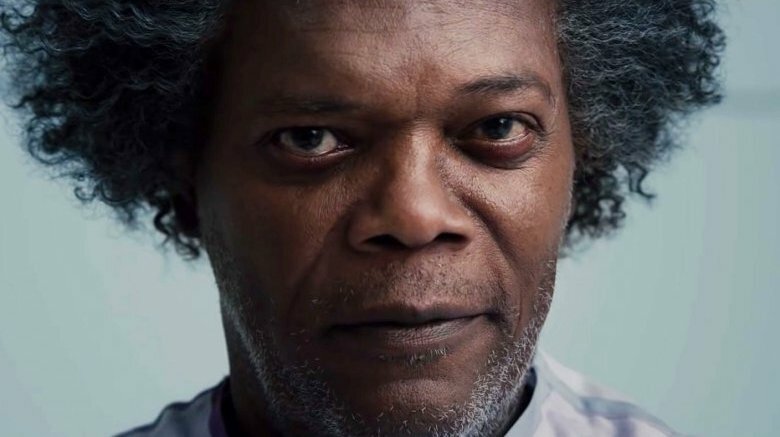 Shyamalan further discussed the ending of Glass with The Hollywood Reporter, doubling down on his remarks that he knew, even 19 years ago, that he wanted the film to wrap with several big bangs. "I didn't know if I could have the balls to do it. But I did. That was in my head and I kind of said, 'Maybe we could do this at the end' and chuckled about it. Can you do that? I didn't know whether I'd have the fortitude to keep going and do it, but I'm so glad that I did," shared Shyamalan. He added, "Closure is important to me, as a narrator, as a storyteller. How do we get to a definitive end so that you understood someone had something to say specifically and not then continuing. It's always been on my mind how to do this. Obviously, I've never done a sequel before and wanting to make sure it was from the right motivations, from the characters themselves and that world and keeping a certain level of purity about it. I think that the shelf life of the three movies will increase dramatically because of it." While Shyamalan certainly got the ending he wanted, critics and audiences have been arguing over its quality from the moment the film opened in theaters. Some thought it was absurd, others thought it was spectacular, but Shyamalan isn't paying any mind to the reviews. As he told THR, "Definitely don't want to comment on that. That's not my purview. The less energy spent in that arena the better. All of it should go toward making the highest quality audience movies that I can possibly make. Really pushing cinema to tell accessible stories. That's the balancing act I'm trying to study and learn over the years." Hey, if we self-financed the conclusion to our own superhero thriller trilogy and got to end the series in the exact way we always hoped to, we wouldn't pay naysayers any mind either.